As a vital emergency service, EMAS is focused on a ‘defence in-depth’ strategy for its IT infrastructure and data, to protect patient and operational information. At the same time, the organisation must keep a close eye on how and where budgets are best spent, and select the right suppliers who understand the daily challenges EMAS IT staff face. Here we find out about EMAS’ relationship with Sophos and ITHealth (the only Sophos Select partner solely dedicated to serving the NHS) and why EMAS have continued to work with both companies for a number of years. 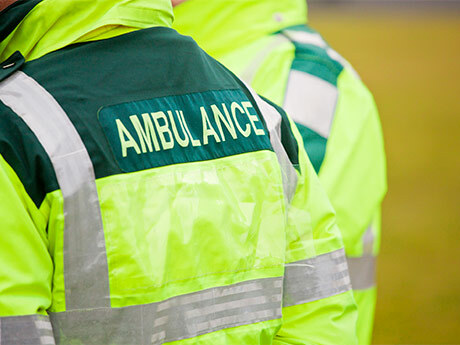 East Midlands Ambulance Service NHS Trust (EMAS) provides emergency 999 care and telephone clinical assessment services for a population of 4.8 million people across 70+ sites. On average the team receive a new 999 call every 32 seconds – around 2,700 calls a day. EMAS needed to create a ‘defence in-depth’ strategy to secure all of its IT infrastructure and data to achieve maximum capability at minimal cost. Sophos Central, Intercept X, Sophos SG Firewall, Sophos Web Protection, Sophos Email. EMAS began working with ITHealth in 2010 when they were looking to implement remote access for their mobile workforce. ITHealth provided a secure two-factor solution using the NHS smartcard as authentication, which EMAS still use to this day. Happy with the outcome of the project, EMAS began discussions with ITHealth about other challenges they were experiencing with wider security aspects. EMAS were finding the solutions they had in place complex and time-consuming to manage and wanted to improve their security posture. Our previous security solutions were complex and taking too much time to manage. With no dedicated security resource, we needed to change how we were working... We found ITHealth and Sophos were best placed to help. ITHealth proceeded to support EMAS in switching their existing security solutions to Sophos Endpoint Protection, Sophos SG Firewalls, Sophos Web Protection and Sophos Email. In 2018 they went on to implement Intercept X on-premise and have now consolidated their security products within Sophos Central. Alan Williamson is Information Security and Technical Manager at EMAS. He believes that “Sophos is the only vendor on the market that delivers security in a nutshell – and makes it affordable”. Alan is most impressed with the firewalls alongside Sophos UTMs which he says “catch everything we throw at them during testing”. I highly recommend the firewalls and UTMs from Sophos. Compared with other vendors, Alan believes that Sophos supplies products that are easy to understand and can be very quickly grasped by the IT team. EMAS plans to upgrade the existing Sophos firewalls to XG to be able to synchronise security – allowing the endpoints and network to talk to each other – and give EMAS all the detail they need on the organisation’s IT security on one screen. EMAS benefits from complete IT security coverage with minimum input required from the IT team. “Other products worked well”, Alan says, “yet they took so much longer to manage”. The ITHealth team who support the Sophos products are very helpful and always available when required – without Alan ever having to wait long for a response. Alan is highly complementary of ITHealth, saying: “They are brilliant – they act as our extra manpower and we value having additional cover from people who genuinely understand the challenges we face. If it wasn’t for ITHealth EMAS might not have considered Sophos and I am now delighted to be working with both organisations – they have simplified security massively for us”. IT staff can figure out Sophos products in no time at all; they are uncomplicated, easy-to-use and simple to manage.